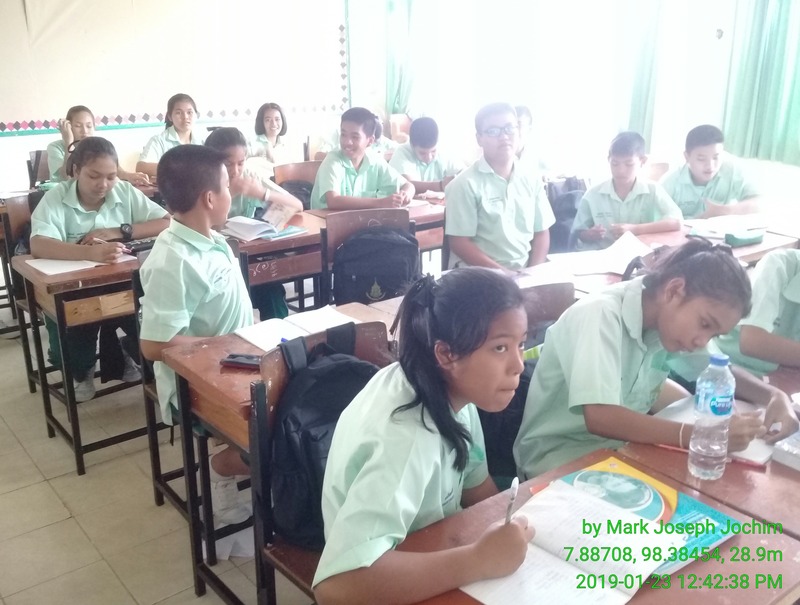 Students in Class M1/2 at Plukpanya Municipal School in Phuket, Thailand. Photo taken on January 21, 2019. 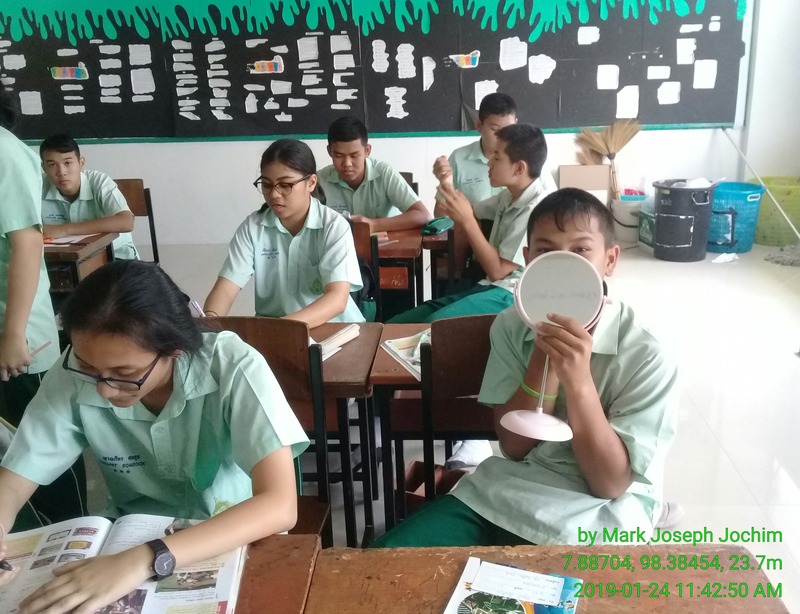 Students in Class M3/2 at Plukpanya Municipal School in Phuket, Thailand. Photo taken on January 24, 2019. I have pretty much settled into a routine. 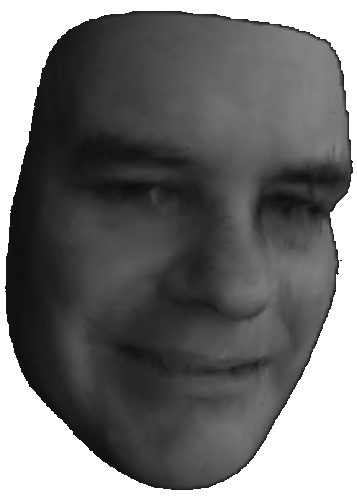 During the weekdays, my first class is never earlier than 10:20 a.m. so I sleep a bit later than usual — getting out of bed and firing up the computer around 7:30 or eight o’clock. During that pre-class time, I usually work on one of my projects or begin preparing for a blog entry. 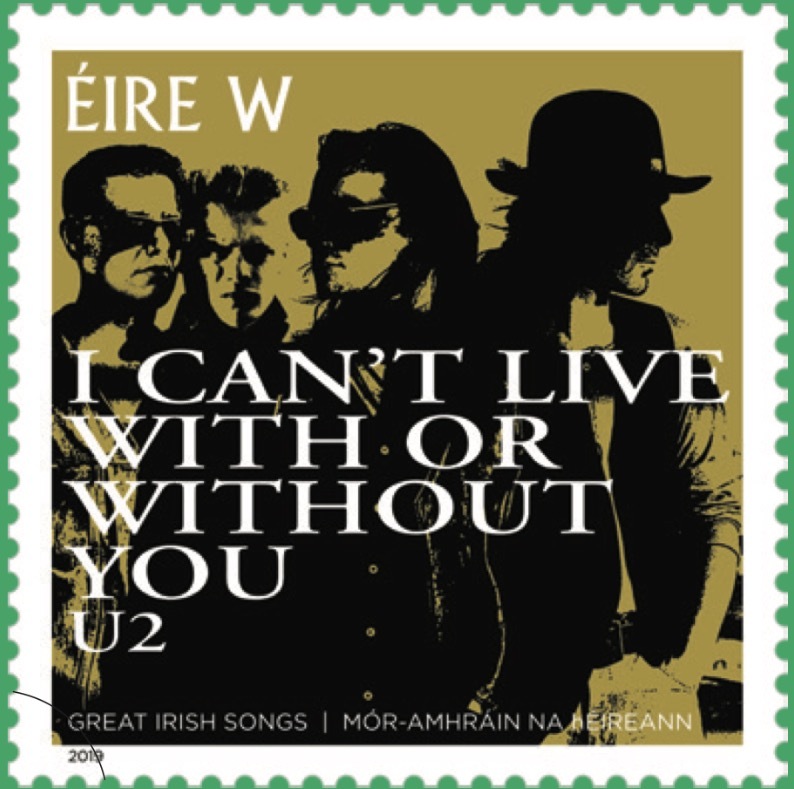 For A Stamp A Day, that often means searching Wikipedia’s Days Category for an event that I can match a stamp with. 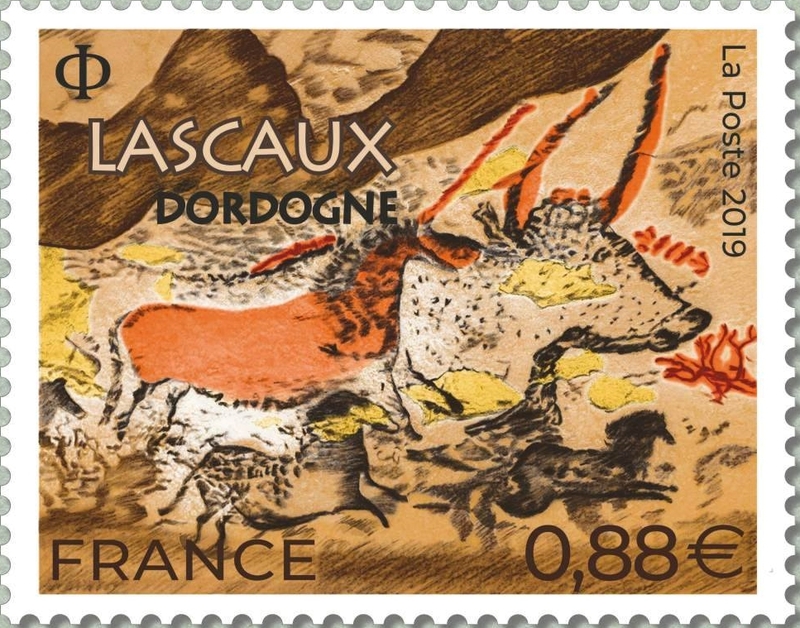 Lately, I have been working hard on my Philatelic Pursuits blog, trying to track down the first stamps of 2019 issued throughout the world. Some countries are better at reporting their upcoming releases than others and it can be a struggle to find good-quality images. 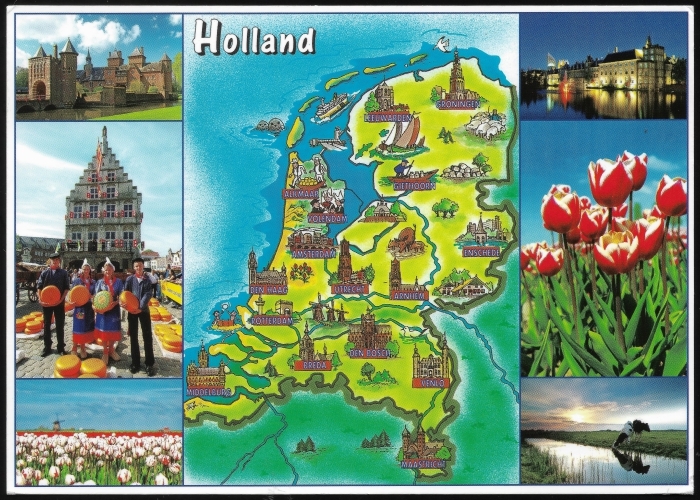 I’ve now redesigned all of my blogs (the fourth being Postcards to Phuket) except for ASAD. Around 9:30, I walk to my school which takes just under 20 minutes through a very scenic part of town. I’m usually finished there by two p.m. and either walk back home (often stopping at a local restaurant along the way) or head to my agency in the basement of the large Central Festival shopping mall in the center of the island. My afternoon or early evening may be taken up by more writing or some reading (accompanied usually by music) and then a trip to a local market or a restaurant for dinner, leaving my phone at home as I don’t like to be interrupted while eating (and explaining why there are very few photos of food in these wrap-up articles). Back in my apartment following my meal, I usually plan my next day’s lessons and either read my book or surf the Internet. I try to be in bed no later than midnight. For the most part, this constitutes my weekday routine. The weekends aren’t much different. 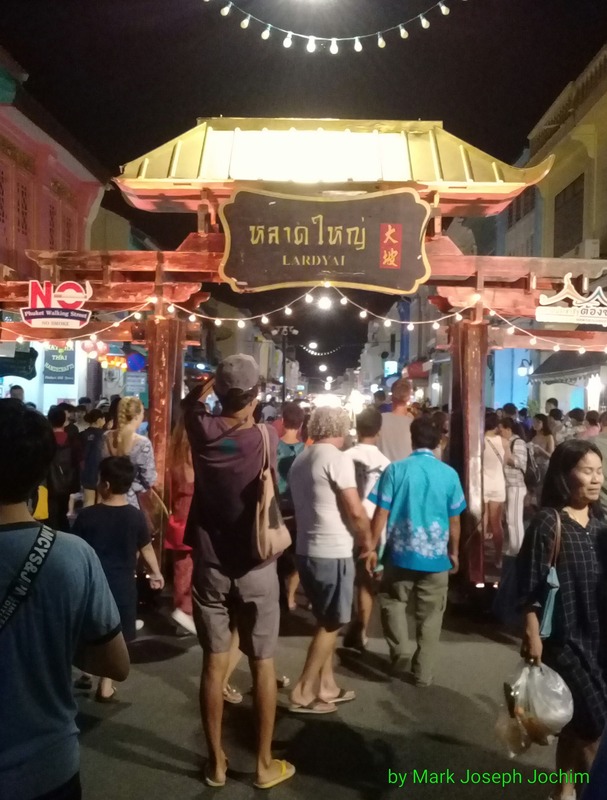 Eastern entrance to Lard Yai, the weekly Walking Street set up along Thalang Road in Phuket Old Town, Thailand, each Sunday from approximately 16:00 until 20:30. 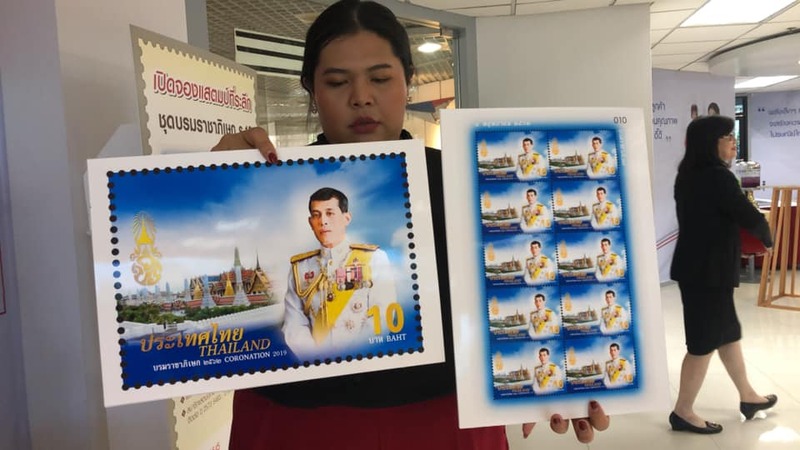 Photo taken on January 20, 2019. After I finished my blogging for the day last Sunday, I headed to the weekly Lard Yai in Phuket Old Town. Late every Sunday afternoon for the past five years or so, Thalang Road through the heart of the historic district is blocked-off to vehicular traffic and local vendors set up stalls to sell all manner of street food, beverages, local handicrafts, and much more. 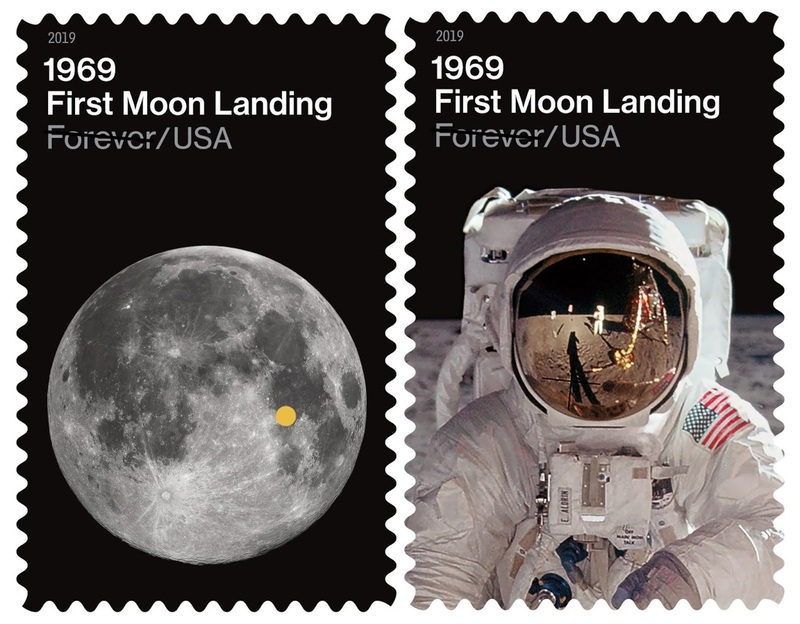 There are at least four artists and photographers selling their work on postcards. 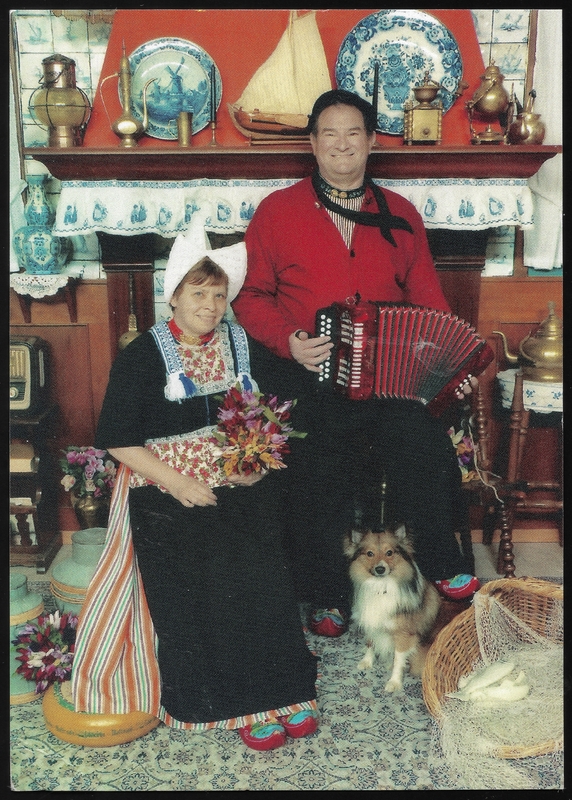 You can also have your portrait painted, your hair cut, and listen to some local musicians. By seven in the evening, the entire road is jam-packed with more foreigners stumbling across it every week. I actually told a Russian man last week to put out his cigarette; he was puffing away while leaning on a large sign declaring that smoking and drinking alcohol are forbidden. Very soon, the national law against smoking anywhere outside and in public establishments will go into effect (I believe it starts on February 1). 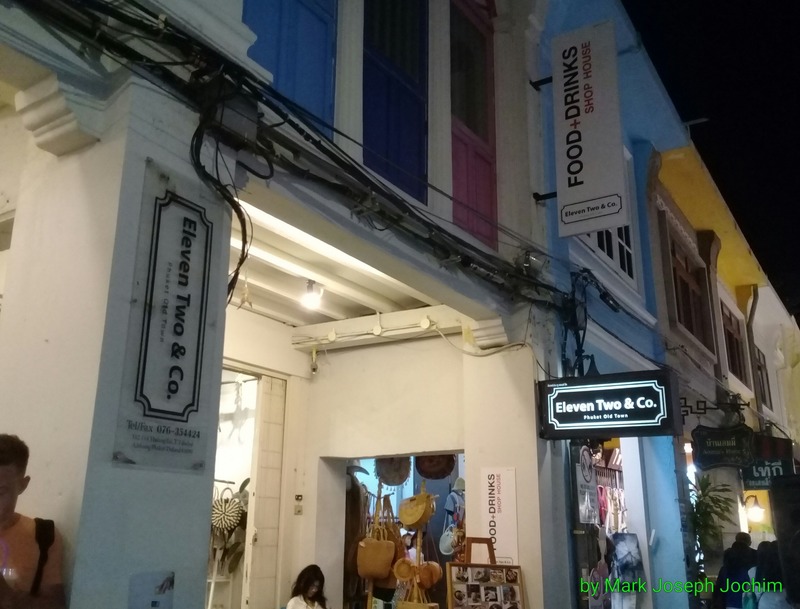 Shophouses in the Sino-Portuguese style of architecture along Thalang Road in Phuket Old Town, Thailand. Photo taken on January 20, 2019. 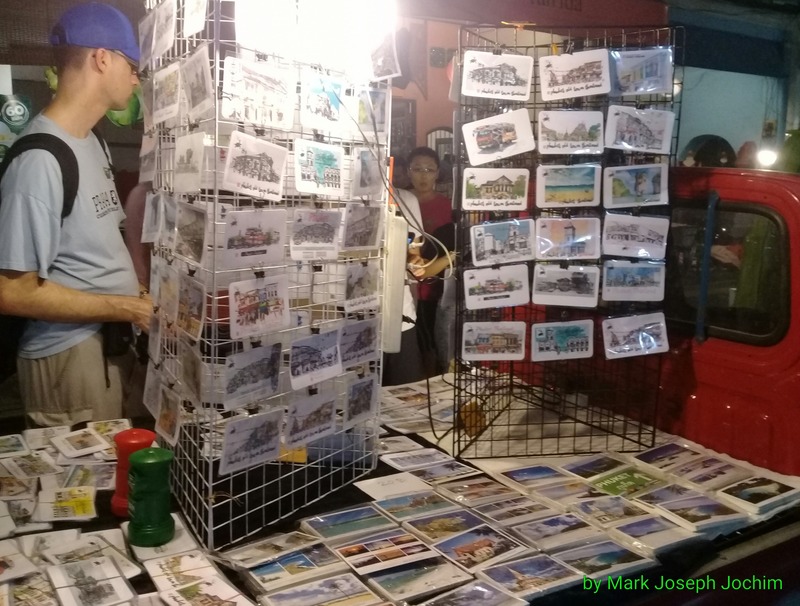 Postcards for sale in the middle of the street during the weekly Sunday Lard Yai in Phuket Old Town, Thailand. Photo taken on January 20, 2019. I was up at the crack of dawn Monday morning to listen to the AFC Championship Game between the Kansas City Chiefs and the New England Patriots. The first half was pretty rough for my Chiefs and the game went so long that I had to get ready for work during the fourth quarter. I was walking to school (still listening to the radio app on my phone) when Kansas City took the lead late in the game and was standing outside of my office when the Patriots tied it up with eight seconds to go. It went into overtime and then I had to head for my lesson. I had just arrived outside of the classroom when New England got their touchdown and won the game. Needless to say, I was disappointed but still very proud of my team for making it so far. It was a truly magical season and we broke a lot of long-standing records, not only for the franchise but for the entire history of professional football in the United States. If they can maintain that momentum and inspiration next season, I have no doubt that one year in the near future we will make it all the way to the Super Bowl. One of my favorite restaurants on Thalang Road in Phuket Old Town. It’s now owned by one of my former business course students, as are a neighboring souvenir shop and an ice cream-and-smoothies stand across the street. 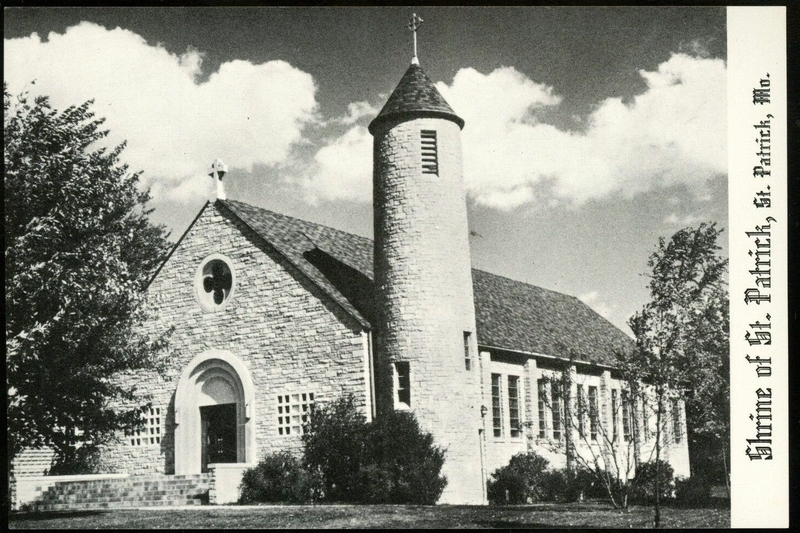 Photo taken on January 20, 2019. 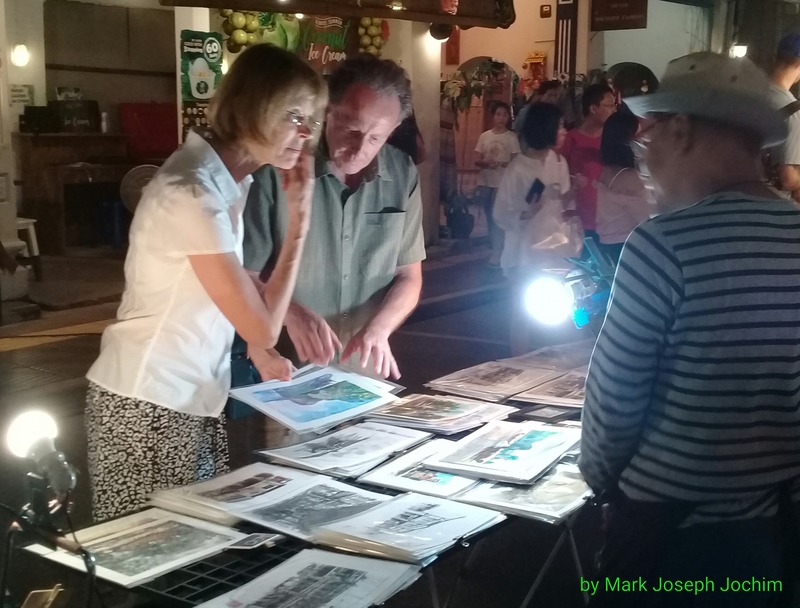 Foreign tourists buying prints at the Sunday night Walking Street known locally as Lard Yai in Phuket Old Town, Thailand. Photo taken on January 20, 2019. The remainder of the week was much subdued in comparison. I had two evening lessons scheduled at my agency but the student cancelled both times after I’d already traveled to work. My weekly Saturday morning student is on hiatus from her lessons until March. 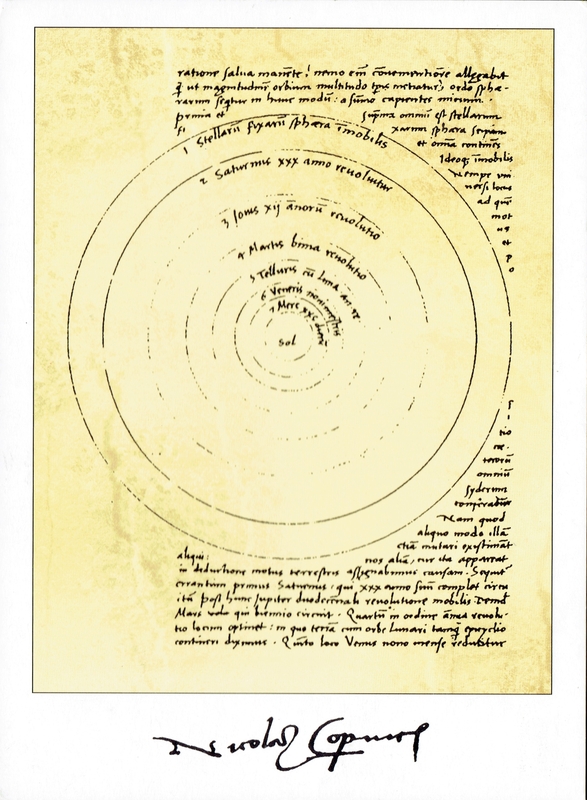 Thus, I spent a rare Saturday at home working on a number of projects. I didn’t leave at all, not even to go eat. 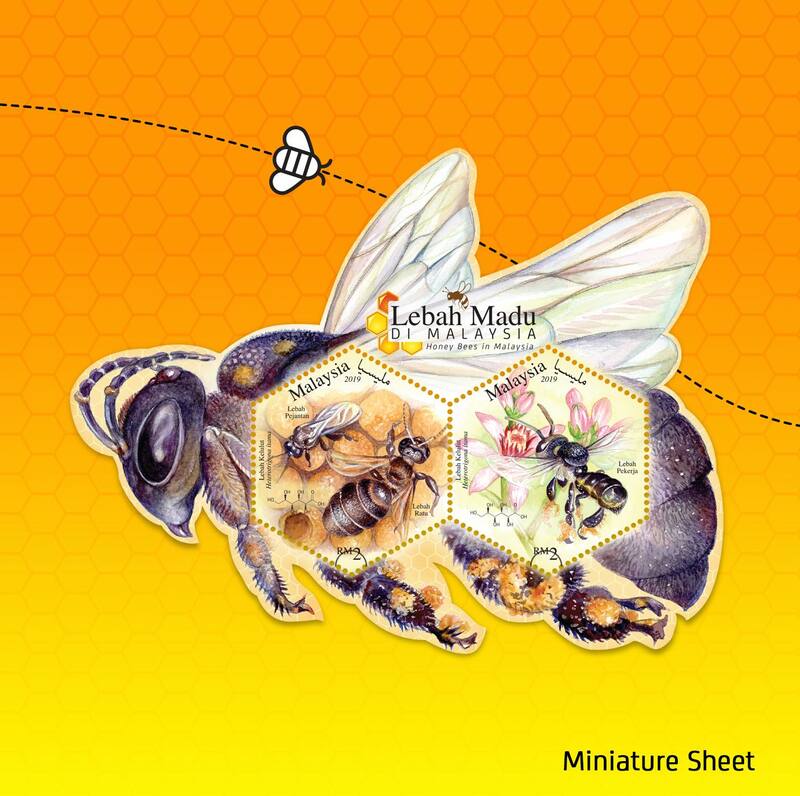 Today, I am hustling to finish this weekly wrap-up article and one for A Stamp A Day (Mozart’s birthday) before going out to a “nice”afternoon meal. 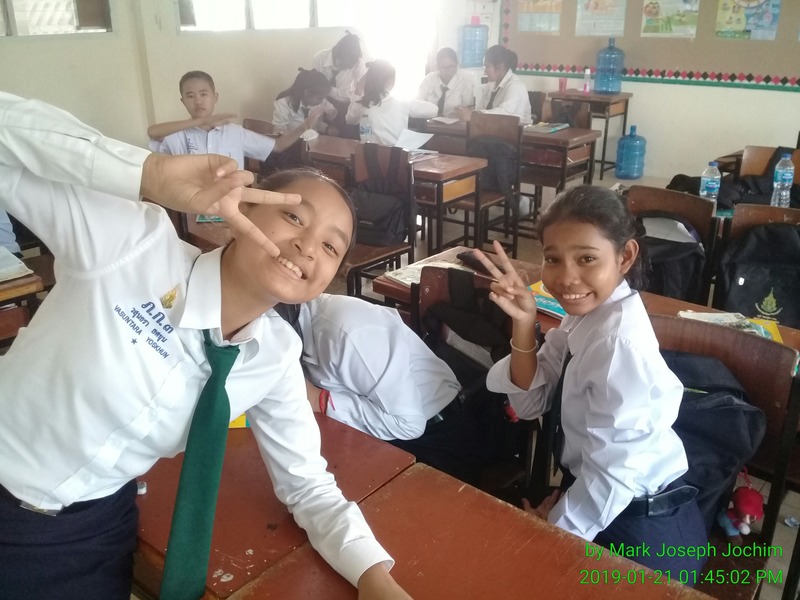 Students in Class M1/2 working hard to earn a “Game Day” later in the week at Plukpanya Municipal School in Phuket Town, Thailand. Photo taken on January 24, 2019. Also this week, I finished my second book of the year (The Associate by John Grisham) and have made good progress on another, Lee Child’s Worth Dying For. I listened to a fair amount of music along the way including a few more concerts from Bruce Springsteen’s 2016-2017 The River Tour, a couple of 80’s albums by Simple Minds and Elton John that I remembered liking back then but which sound extremely dated now, as well as my copy of last year’s 50 Years: Don’t Stop boxed set by Fleetwood Mac. Oddly, it’s a different running order than I’ve seen listed online and it doesn’t include the single version of “Fireflies” so I can’t (yet) replace my old poppy vinyl dub (that and “Cool Water” — the B-side to 1982’s “Gypsy” single — are my only analog holdouts from my first favorite band). It was a very hot week without even a hint of rain. Late January through February is usually the hottest time of the year in Phuket but we do occasionally get some rain during this period. Some of the evenings have been nicely breezy and I noticed that the moon was particularly huge and orange during my motorbike ride home Tuesday night. I forgot to go back out with my camera, however. 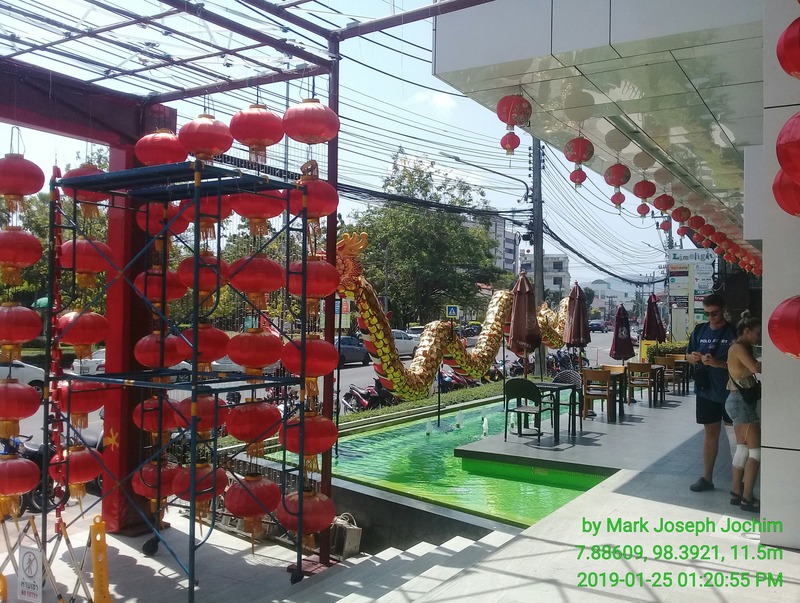 Decorations for Chinese New Year at Limelight Avenue — a shopping center and market area north of Queen Sirikit Park in Phuket Town, Thailand. Photos taken by Mark Joseph Jochim on January 25, 2019. 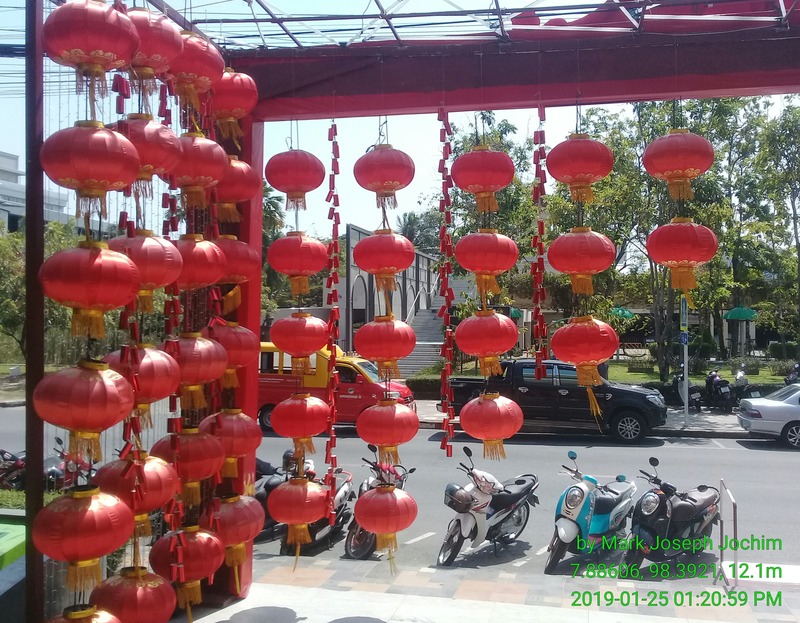 The local municipality has decorated most of the streets around town with lanterns and dragons for the forthcoming Chinese New Year, still some two weeks away (and likely the cause of more school cancellations). My home is very close to several Chinese clan shrines (in addition to two large Buddhist wats, and temples for local Sikhs and Hindus) so large strings of very loud fireworks are exploded at all times of the night and day once the festival is in full swing. When the fireworks begin going off while I’m working inside, my heart goes into convulsions and I can’t hear anything for several minutes until the explosions subside. These are usually followed by another clan setting off their own batch or by the dogs barking for minutes on end. I actually prefer the fireworks to the dogs. For the first several days of Chinese New Year, the series of booms go off about every hour starting around one o’clock in the morning and continue until five or six a.m. 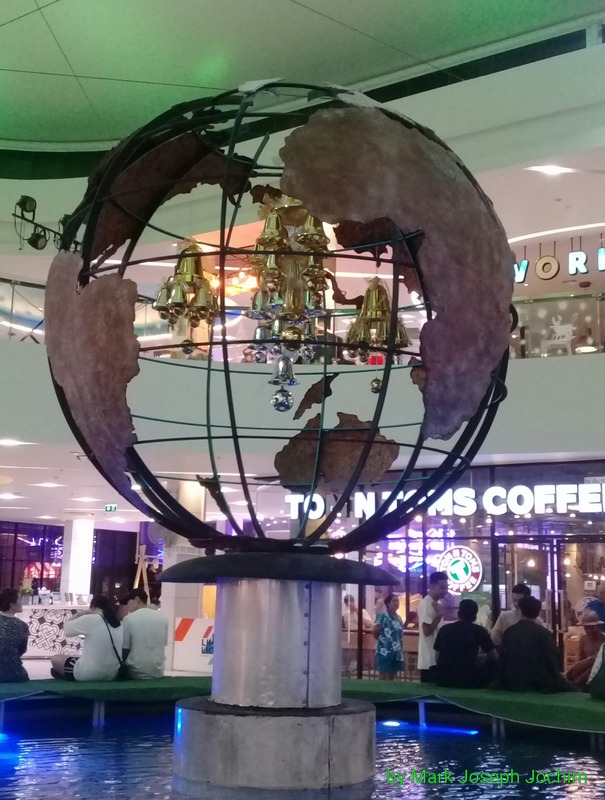 The world comes to Phuket — globe and fountain inside of the Limelight Avenue shopping center, Phuket Town, Thailand. Photo taken on January 20, 2019. 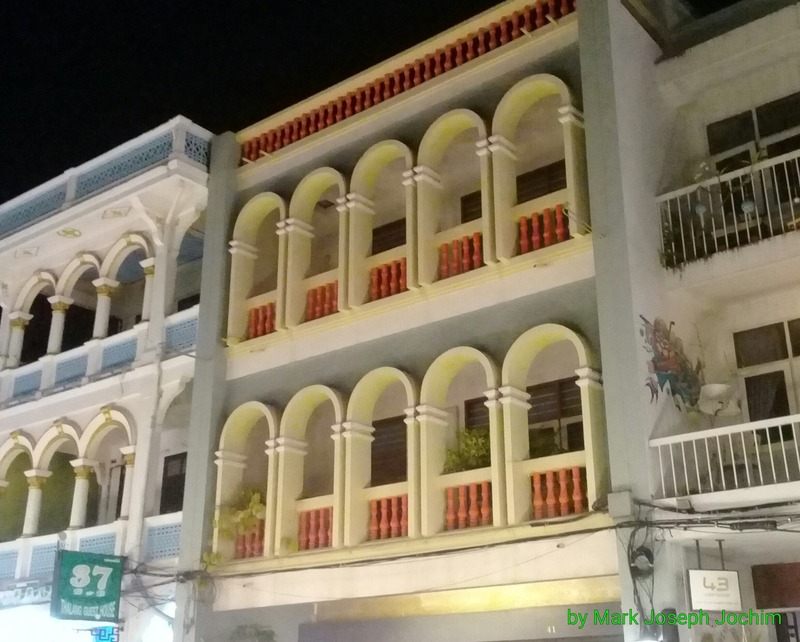 Immediately following the Chinese New Year festivities, the community holds the Phuket Old Town Festival which is my favorite annual celebration. It is centered on Thalang Road and spreads outward throughout the historic center of town for three days of food, music, dancing, and more. I think it coincides with Valentine’s Day this year. I didn’t take enough photos this week for a video slideshow but I will take enough during the Old Town Festival to create a huge production! I hope everybody has a wonderful week!